Susie Velasquez has lived in Weld County almost all of her life. She grew up in Milliken and graduated from Roosevelt High School in Johnstown. She is active in her community and serves on various boards. 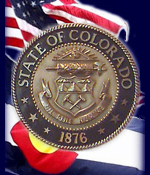 She was appointed as the Weld County Public Trustee by Governor Bill Ritter and reappointed by Governor John Hickenlooper and Governor Jared Polis. Susie Velasquez is the Weld County Public Trustee. She was appointed by Governor Ritter in 2007 and reappointed by Governor Hickenlooper and Governor Jared Polis. Susie’s term as the Public Trustee runs concurrent with the Governor’s term. Susie is an attorney and served as Assistant Attorney General for the Colorado Attorney General’s office. Susie has a Juris Doctor degree from the University of Denver College of Law, Bachelor of Science degree in Business Administration from the University of Northern Colorado (UNC), and an Associate of Arts and Sciences degree from Aims Community College. Susie is a member of the Colorado Bar Association, Colorado Hispanic Bar Association (CHBA), Colorado Women’s Bar Association Weld Chapter and the Weld County Bar Association. She was selected by the Colorado Women’s Bar Association Foundation to be honored as one of the Colorado Women Lawyers in Government. She serves on the CHBA Nominations and Endorsements Committee and is a member of Supreme Court Justice Sonia Sotomayor Inn of Court. Susie serves as a mentor for LAW SCHOOL Yes We Can (Si Se Puede). She is a member of the National Association of Latino Elected/Appointed Officials, Hispanic Women of Weld County and League of Women Voters. She is a member and past President of the Public Trustee Association of Colorado. 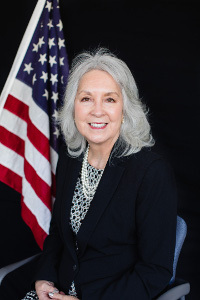 Susie also served on the Judicial Performance Commission for the 19th Judicial District, the Colorado Civil Rights Commission, League of United Latin American Citizens (LULAC), Habitat for Humanity Board of Directors, Greeley Dream Team Board of Directors and UNC Alumni Association Board of Directors. Susie graduated from Leadership Weld County. Susie is active in her community and volunteered with United Way Project Connect and Imagine Greeley. She grew up in Milliken and graduated from Roosevelt High School in Johnstown.